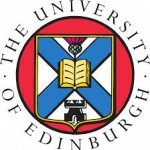 As part of its on going commitment to open education, the University of Edinburgh has recently approved a new Open Educational Resources Policy, that encourages staff and students to use, create and publish OERs to enhance the quality of the student experience. The University is committed to supporting open and sustainable learning and teaching practices by encouraging engagement with OER within the curriculum, and supporting the development of digital literacies for both staff and students in their use of OERs. The policy, together with supporting guidance from Open.Ed, intends to help colleagues in making informed decisions about the creation and use of open educational resources in support of the University’s OER vision. This vision builds on the history of the Edinburgh Settlement, the University’s excellence in teaching and learning, it’s unique research collections, and its civic mission. This definition aims to encompass the widest possible range of resources that can be used in teaching and learning, not just resources that are developed specifically for that purpose. This description acknowledges that it is often the context of use that makes a thing useful for teaching and learning, rather than some inherent property of the resource itself. Although open licensing is central to the University’s OER vision, this is much more than a resource management policy. In order to place open education at the heart of learning and teaching strategy, the University’s OER Policy has been approved by the Senate Learning and Teaching Committee. The policy is intended to be clear and concise and to encourage participation by all. By adopting this policy, the University is demonstrating its commitment to all staff and students who wish to use and create OERs in their learning and teaching activities, and who wish to disseminate the knowledge created and curated within the University to the wider community. In keeping with the ethos of open education, the OER conferences have always made an effort to be as diverse, inclusive and, well, open as possible and OER16 Open Culture is no exception. The draft conference programme has recently been announced and we’re delighted to have accepted 101 papers and panels from 29 different countries. Bearing the recent #allmalepanels meme in mind, we’re also aware of issues relating to gender balance and diversity and we’re very pleased to have almost 50/50 representation. Of over a hundred lead authors who recorded their gender along with their submission, 49% are female and 51 % male, and our keynotes are similarly balanced. In order to ensure that OER16 is inclusive and accessible, we have aimed to keep the conference fee as low as possible for full delegates. However if cost is a genuine barrier, ALT have a small amount of limited funding available to subsidise registrations for presenters who are students, school teachers, who work in small FE institutions, adult or community education or are members of the public with a special interest in OER. Subsidised places have already been offered to fourteen presenters and applications of funding close on the 6th March. OER16 also offers many opportunities for remote participation, the majority of which are completely open and free of charge. All five keynotes by Catherine Cronin, Jim Groom, Melissa Highton, John Scally and Emma Smith will be streamed live on ALT’s dedicated youtube channel, and will also be available to view after the conference. There will be a wide range of social media channels including twitter feeds, blogs, hang outs and internet radio broadcasts, facilitated by the ALT Open Education SIG, Radio EDUtalk, Virtually Connecting and others, which will enable remote participants to engage with and contribute to the conference. Remote participants will only be required to register their details if they wish to comment on the main conference platform hosted by ALT, although registration will be required, this facility is still free of charge, all other remote participation channels are both free and open, and yes, that really is open as in open. Based on an original painting by Omar Ibrahim, designed by Julien Taquet. Towards the end of last year, following an invitation from Adam Hyde of booksprints.net, I wrote a contribution for a free and open online book called The Cost of Freedom. The book is dedicated to Syrian internet volunteer and open knowledge advocate Bassel Khartabil, باسل خرطبيل‎, who has been detained in Syria since March 2012. On the 3rd October 2015 Bassel’s name was deleted from the Adra Prison’s register where he was detained and no further information has been obtained about his whereabouts. The book was written in Pourrières in France during a five day book sprint in early November 2015, with additional contributions being submitted by writers from all over the world. Here’s my contribution, a personal reflection on what openness means to me. To my mind, openness is also contradictory. I don’t mean contradictory in terms of the polar dichotomy of open vs. closed, or the endless debates that seek to define the semantics of open. I mean contradictory on a more personal level; openness raises contradictions within ourselves. Openness can lead us to question our position in the world; our position in relation to real and perceived boundaries imposed from without and carefully constructed from within. And of course, there is a cost; openness requires a little courage. When we step, or are pushed, outside our boundaries and institutions, it’s easy to feel disoriented and insecure. The open world can be a challenging and unsettling place and it’s easy to understand the impulse to withdraw, to seek the security of the familiar. When large scale open education funding programmes first started to appear, (what an impossible luxury that seems like now), they were met with more than a little scepticism. When a major OER funding initiative was launched in the UK in 2009 (UKOER), the initial response was incredulity (OER Programme Myths). Surely projects weren’t expected to share their resource with everyone? Surely UK Higher Education resources should only be shared with other UK Higher Education institutions? It took patience and persistence to convince colleagues that yes, open really did mean open, open for everyone everywhere, not just open for a select few. One perceptive colleague at the time described this attitude as ‘the agoraphobia of openness’(1). Although open licences and open educational resources are more familiar concepts now, there is still a degree of reticence. An undercurrent of anxiety persists that discourages us from sharing our educational resources, and reusing resources shared by others. There is a fear that by opening up our resources and our practice, we will also open ourselves up to criticism, that we will be judged and found wanting. Imposter syndrome is a real thing; even experienced teachers may fail to recognise their own work as being genuinely innovative and creative. At the same time, openness can invoke a fear of loss; loss of control, loss of agency, and in some cases even loss of livelihood. Viewed through this lens, the distinction between openness and exposure blurs. But despite these costs and contradictions, I do believe there is inherently personal and public value in openness. I believe there is huge creative potential in openness and I believe we have a moral and ethical responsibility to open access to publicly funded educational resources. Yes, there are costs, but they are far outweighed by the benefits of open. Open education practice and open educational resources have the potential to expand access to education, widen participation, and create new opportunities while at the same time supporting social inclusion, and creating a culture of collaboration and sharing. There are other more intangible, though no less important, benefits of open. Focusing on simple cost-benefit analysis models neglects the creative, fun and serendipitous aspects of openness and, ultimately, this is what keeps us learning. disquiet ambient/electronica have recorded a number of the contributions to the book, including mine, which you can listen to here. I cannot remember who said this, but the comment has always stayed with me. White, K., (2003), Open World. The Collected Poems, 1960 – 2000, Polygon. White, K., (2004), Geopoetics: place, culture, world, Alba. White, K., (2004), ‘A High Blue Day on Scalpay’ in Open World. The Collected Poems, 1960 – 2000, Polygon.